Hello, I’m Rachel. I’m a (very new) children’s writer based in Scotland. 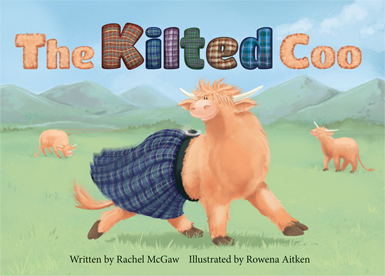 I have written two story books published by Forth Books – Ruan the Little Red Squirrel and The Kilted Coo. In addition to my love of books and reading, I also adore the great outdoors and, of course, my little white pup. Thanks for visiting my website. For more about my books, have a look at my ‘About’ page! 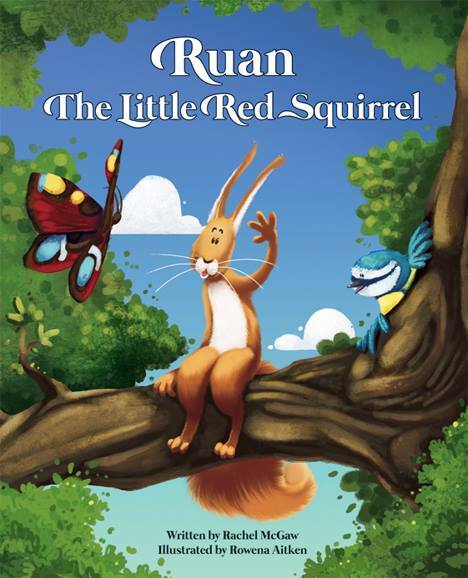 Aimed at ages 5 to 10, Ruan can either be read aloud to younger children or independently by more confident readers. Ideally suited to read aloud, Rachel’s rhymes will make story time a laugh-out-loud delight, while Rowena’s quirky farmyard brings a Scottish farm full of lots of cheeky animals to life. Find Rachel & Ruan online!